FUJI endeavors to achieve an uncompromised track record, reliability and quality as the industry's leading manufacturer. 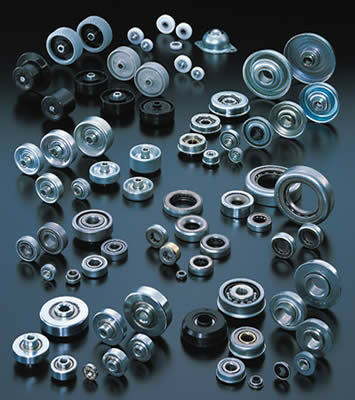 FUJI is the industry's leading manufacturer of pressed bearings. From our enormous production and delivery of products to a diverse range of industries to the development of new products, we have garnered a significant number of accomplishments in this field. Our pursuit of ever-improving quality in the field of pressed bearings, which factors in materials, size and their respective usage and purpose, remains unwavering and has been culminated in our achieving ISO9001 and ISO14001 certification. Our quality assurances processes have been duly recognized by our clients due to properly encompassing the global environment in addition to production, sales and services. FUJI seeks to be its clients' most ideal partner by offering unmatched utility, performance and price. 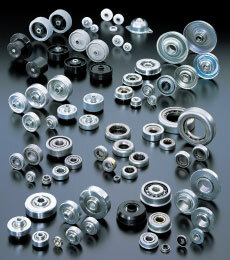 FUJI supplies its clients with a diverse variety of pressed bearings. In particular, we have put significant effort in the joint development of pressed bearings whose shape and size conform to the usage and purpose designated by our clients. These efforts over the years represent the source of our development capability that allows us to handle a broad range of fields. Additionally, we also place emphasis on the economic efficiency of our products, which we do by proposing the product model most appropriate for the client's needs, engaging in multiple discussions with the client to help them decide and eventually providing the client with pressed bearings which best suits the client from the standpoints of performance and price. Forty years have already passed since FUJI and Switzerland-based Interroll formed a comprehensive alliance. 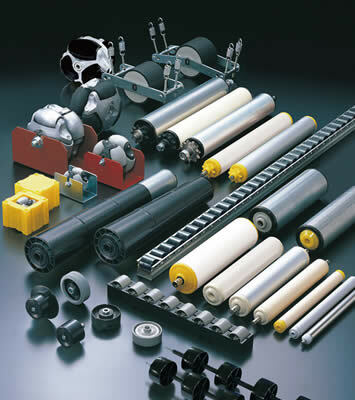 In recent times, the “omni wheel,” “brake roller” and a variety of other items modeled upon plastic conveyor rollers have come to make significant inroads in the Japanese market. FUJI supplies pressed bearings, the flagship components offered by Interroll Group, to as many as twenty countries around the globe. These and other efforts have resulted in significant praise worldwide of the technology surrounding these products. In the future, we intend to continue supplying the world with products rich in originality as a close partner of Interroll Group, which has achieved a solid reputation in markets worldwide as a leading conveyor component manufacturer that supports the materials handling sector.